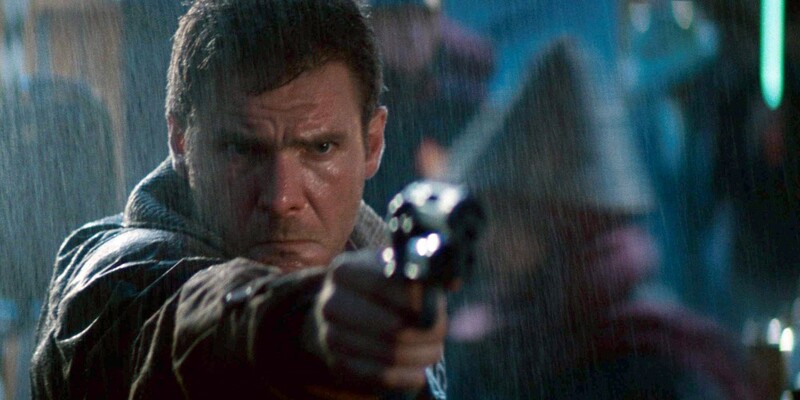 Movie Recall – The Dreamlike ‘Blade Runner’ Still a Neo-Noir Masterpiece. 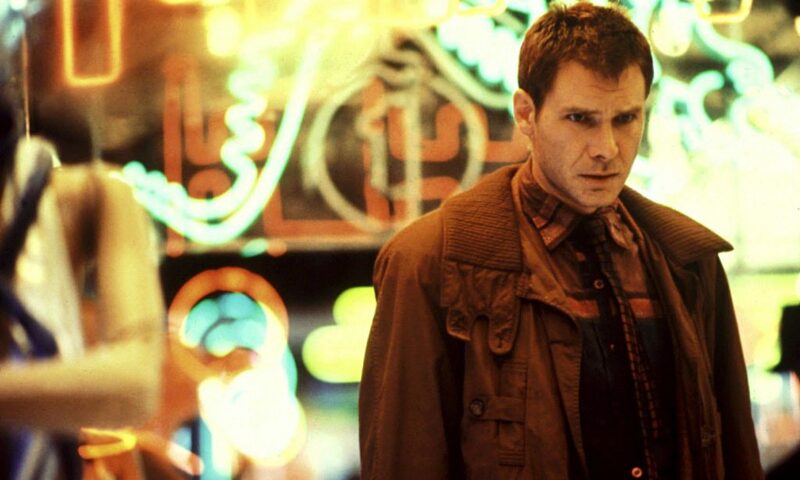 You are at:Home»Arts/Entertainment»Movie Recall – The Dreamlike ‘Blade Runner’ Still a Neo-Noir Masterpiece. Two things which make Blade Runner so unique is its tone and score. It goes without saying the special effects were groundbreaking for its time, creating an all-immersive world you could feel, taste, and touch, bustling with bicyclers, pedestrians, shopkeepers, and the degenerates of the city. The oppressive hovering machines both watching you and advertising to you at the same time. In 2019, Los Angeles hadn’t gotten cleaner but more filthy with plenty of industrial factories blazing and the streets of the city covered in soot and trash. The world-building is stunning. Still, it’s Ridley Scott’s commitment to selling the dreamy, gritty, cyberpunk neo-noir tone and Vangelis’s epic score which sets Blade Runner apart the most. Everything in the movie, even down to the voice recording, pulls toward a dream-like tone. When the characters speak, there’s a noticeable reverb in their voices. With the exception of the scene where Deckard first meets Rachel, it wouldn’t really make sense for an echo to exist. Usually, filmmakers want voice recordings to be crisp, clear, and most of all, not distracting. But, in Blade Runner’s case, the opposite is true. It’s almost as if Scott purposefully wants the audience to notice their echoing voices to match the feel of the movie. This unique quality is both oddly off-putting and enticing. In your gut, you know it’s weird to hear actors speaking with so much reverb, but it matches the other elements of the film so it works. The score by Vangelis, who won the Academy Award for Best Score a year prior, easily makes this film. From the laid-back noir saxophone to the heavy and dark synthesizer, Vangelis soaks Blade Runner in both the old and new. The saxophone especially lends a hand to the dreamy dialogue. Much like Star Wars, Blade Runner wouldn’t be the same without Vangelis’s masterful score. Outside of making the movie feel like a detective serial, Vangelis injects various scenes full of eerie and unsettling strings with oscillating chimes, building on the dreamy tone. It’s unfortunate the writing can’t really keep up with the rest of the film. The story is a standard detective drama and it doesn’t really go much deeper than that. Deckard needs to solve the mystery, find the replicants, and kill them. It’s simplicity works but it also isn’t revolutionary. At the same time, Deckard, for all his brooding charm, doesn’t have many layers and is kind of an empty vessel. There’s not much to know about him. Certain scenes lend a hand to Deckard struggling with hunting replicants. For instance, Rachel openly questions how he knows he’s always killing a replicant and not a human. Deckard’s response is confident if not a little arrogant. But throughout the rest of the movie, he never struggles with these questions. The writers miss a perfect emotional arc for the protagonist. His arc slightly comes at the end when he decides to stop hunting replicants and run away with one (Rachel) instead. By the resolution, however, it doesn’t have the same impact because you never really knew he struggled with hunting them in the first place. Most of the movie, he seems pretty happy gunning them down. Arguably, Rachel and the main protagonist Roy, have more interesting motivations and character dilemmas. Rachel wrestles with her personhood after discovering she’s a replicant. Can she love? If her memories are not hers, does that mean she isn’t real? Most of the movie she wrestles with these questions but little answers come of them. Roy, for all his insanity, is trying to save his other replicant friends, Pris and Leon, before they die (Replicants were programmed to have a short lifespan). Roy’s monologue to Deckard, about seeing miraculous things but bemoaning them as only tears in the rain if he dies, ironically humanizes him. You understand his struggle because he’s trying to survive like the rest of us. Despite their attempts, the story and characters barely measure up to the masterful world-building, set design, score, and special effects. So, it’s not so much the story is bad. It merely isn’t working at the same caliber as the rest of the overall work. Regardless, Blade Runner is without a doubt a genre-defining masterpiece, inspiring future neo-noir and cyberpunk movies to come. Scott makes it easy to embrace his all-encompassing and other-worldly vision even if the darker and unsettling moments are hard to swallow at times. And it’s his uncompromising commitment to a dreamy, ethereal tone which truly sets the whole film apart, making it a unique and worthwhile film experience. Photos courtesy of: Warner Bros. Pictures.